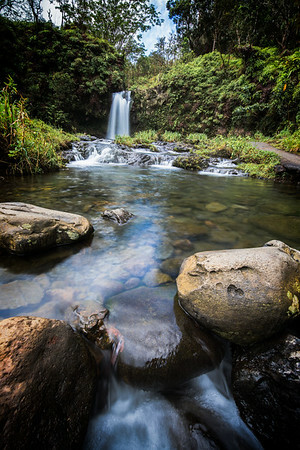 Tucked away along the Road to Hana is a nice little park that offers up this Waterfall and swimming hole for those brave enough to make the trek out. 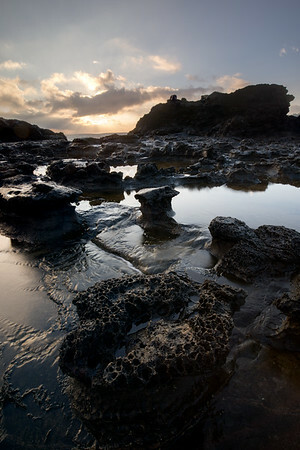 Nestled along the Maui coastline is a rock formation, the Nakalele Blowhole. I decided that it would be a fun sunrise capture... however adjacent to the Blowhole is an even more photogenic rock formation, that when the waves crashed just right, would spring to life.